Lafayette Police Officer Kendall Sam Stopped By News15 Today to talk about an upcoming fundraiser. 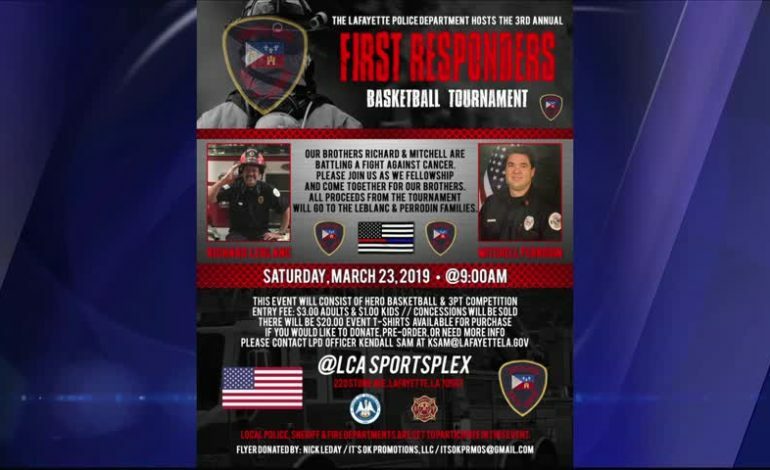 First responders in will go head to head in a friendly game of basketball. The game will be held on March 23rd at Lafayette Christian Academy. Doors open and 9am. Proceeds from the fundraiser will go toward the cancer battles of two local first responders.